Scaling up Early Infant HIV Diagnosis (EID) in Karamoja Health Nutrition HIV coordination meeting 9 th December 2009. 2 Background Over 2 years since the testing of HIV among exposed infants started in Uganda; over 1 year in Karamoja region. EID program enables testing of infants as early as 6 weeks. Currently there are 8 labs with DNA PCR technology in the different regions of the country. Karamoja is served by JCRC Mbale referral hospital. 7 7 Key Issues ss: Not capturing exposed infants Identification & testing exposed infant. Healthcare workers not proactively identifying and referring exposed infants. Exposed infants referred from different wards/clinics for on-site DBS testing are not reaching the testing point. 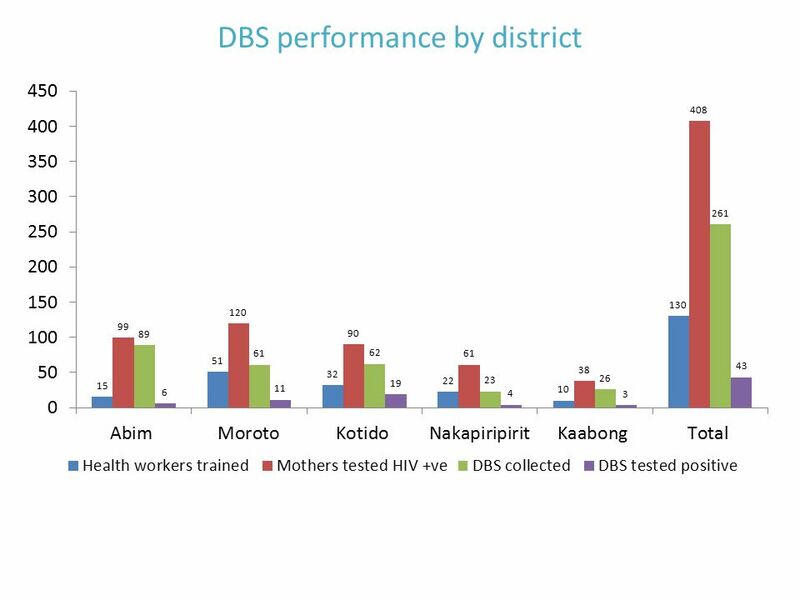 HIV+ pregnant women identified at ANC or maternity not bringing infants for DBS testing at 6 weeks. 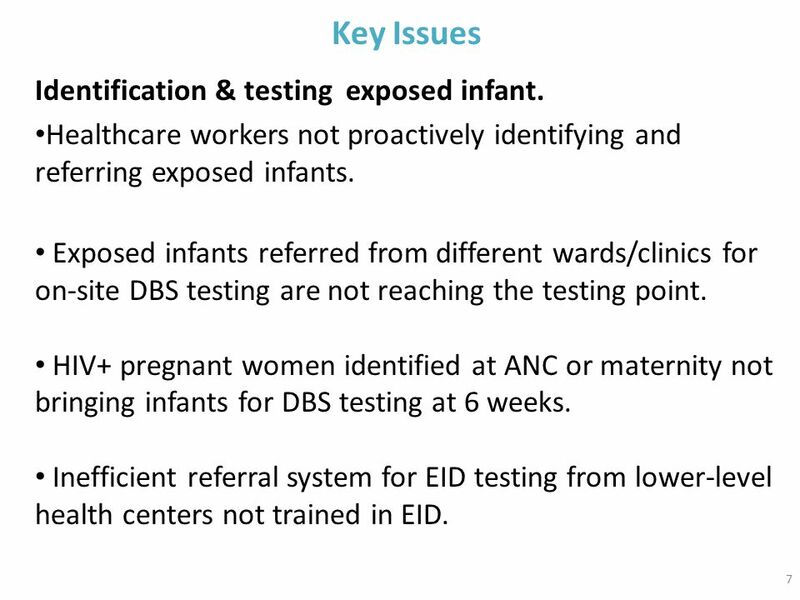 Inefficient referral system for EID testing from lower-level health centers not trained in EID. 8 8 Key Issues. 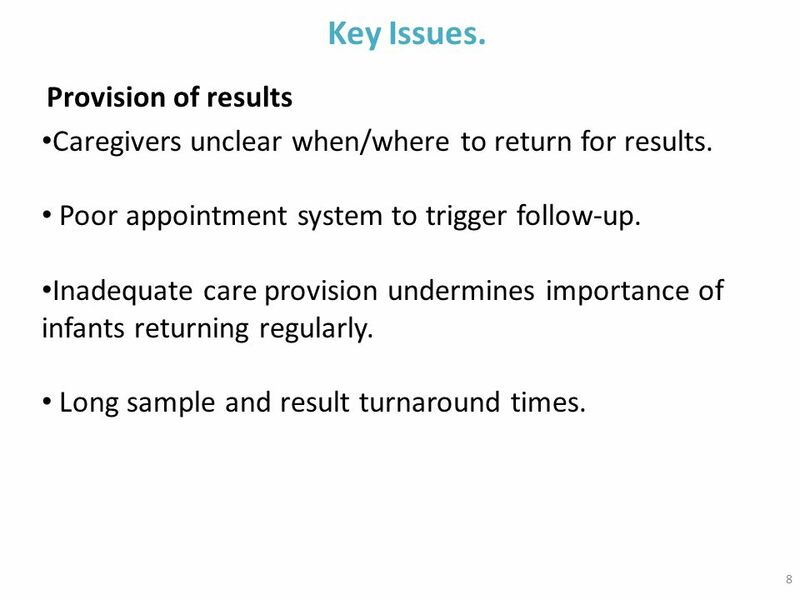 Provision of results Caregivers unclear when/where to return for results. Poor appointment system to trigger follow-up. Inadequate care provision undermines importance of infants returning regularly. Long sample and result turnaround times. 9 Way forward. Improve follow-up and linkage of the tested babies to care and treatment. 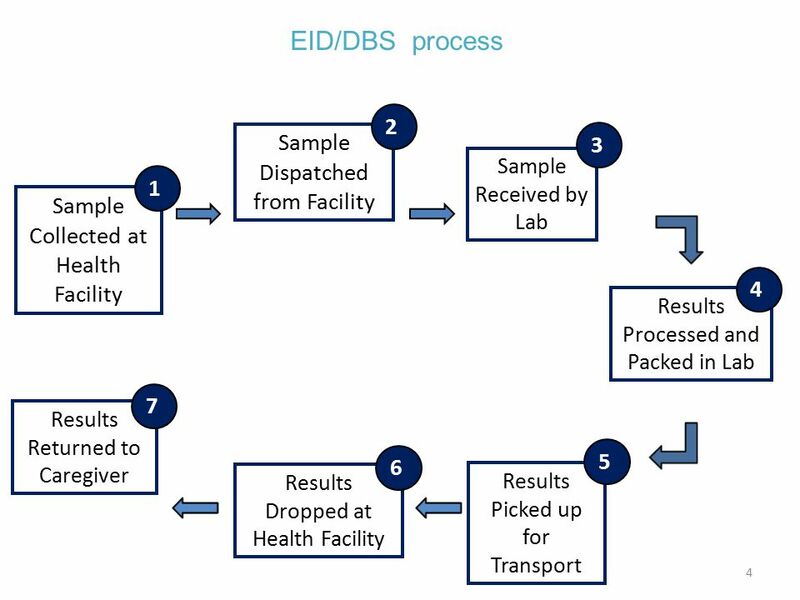 Improve turnaround time of DBS results. – Coordination and monitoring of ANC/PMTCT sites, testing labs, and sample/results transportation. 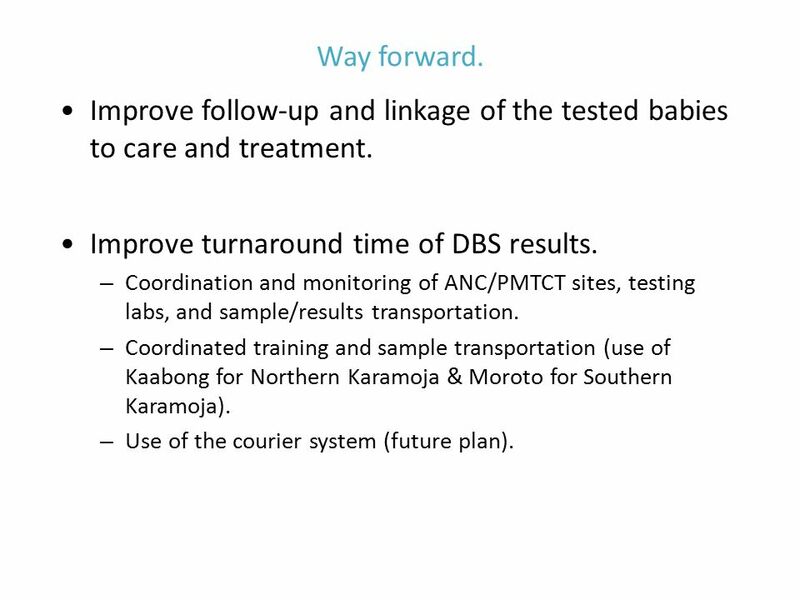 – Coordinated training and sample transportation (use of Kaabong for Northern Karamoja & Moroto for Southern Karamoja). – Use of the courier system (future plan). 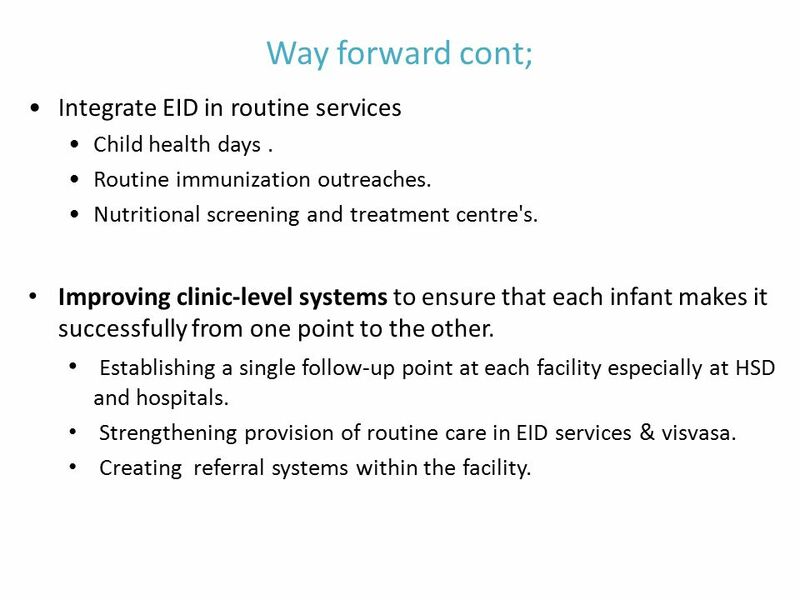 10 Way forward cont; Integrate EID in routine services Child health days. Routine immunization outreaches. Nutritional screening and treatment centre's. Improving clinic-level systems to ensure that each infant makes it successfully from one point to the other. Establishing a single follow-up point at each facility especially at HSD and hospitals. Strengthening provision of routine care in EID services & visvasa. Creating referral systems within the facility. 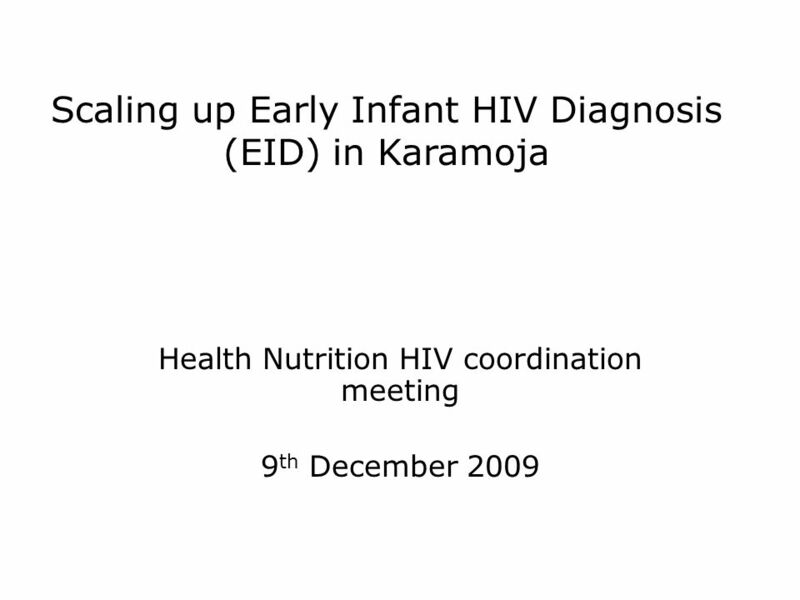 Download ppt "Scaling up Early Infant HIV Diagnosis (EID) in Karamoja Health Nutrition HIV coordination meeting 9 th December 2009." Capstone Session: Integrating Child Counselling in Adult ART Clinics By the end of this session, trainees should be able to: Explain the key entry points. Programme Mwana 2 Leveraging Mobile Technology to Strengthen Health Services for Women and Children in Rural and Underserved Areas. Using m-health strategies to improve laboratory data management in PMTCT programs m-health satellite Washington, July 23, 2012. Draft Generic Protocol: Measuring Impact and Effectiveness of National Programs for Prevention of Mother-To-Child HIV Transmission at Population-Level. EMTCT Tanzania Experience 6 th Joint Biennial HIV & AIDS Sector Review Dr MD Kajoka PMTCT Coordinator. PMTCT /Paediatric AIDS Program: Karamoja Experience Achievements and Challenges Presentation during Children and AIDS Retreat Mountain of the Moon Hotel. Washington D.C., USA, July 2012www.aids2012.org A National Program Manager’s Perspective on HIV/TB Integration Dr Owen Mugurungi Director – AIDS. The distribution of Cell Phones to Mothers of EID HIV positive Infants in Haiti: A model for Increasing Adherence? 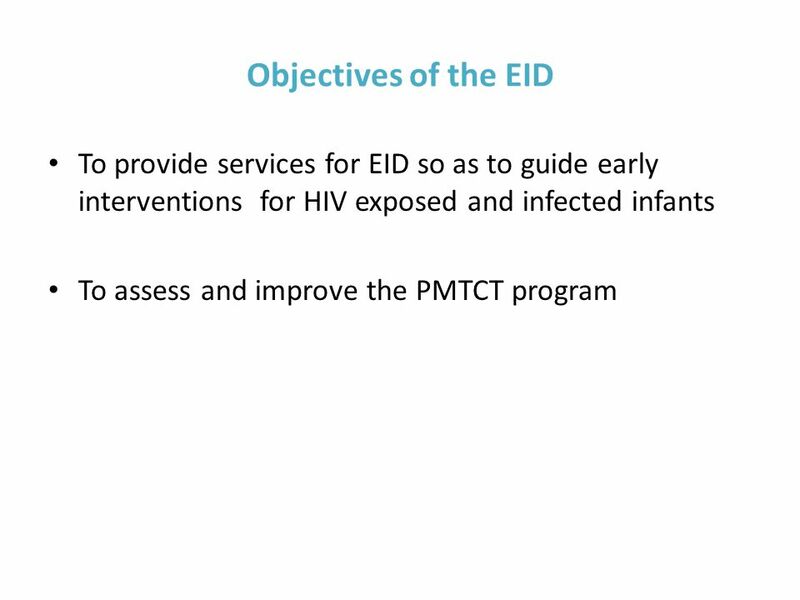 Scaling up Prevention of Mother to Child Transmission of HIV (PMTCT): What Will it Take to Eliminate MTCT? 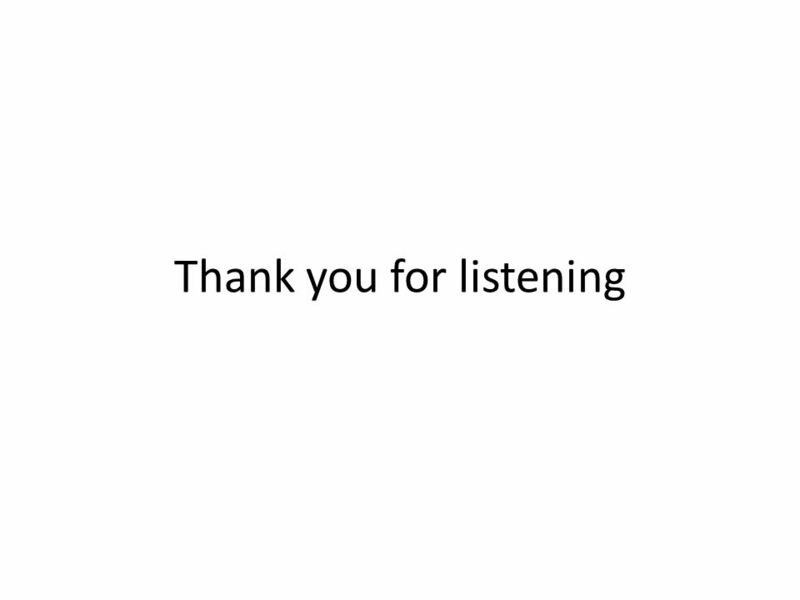 Jessica Rodrigues Presentation for UNICEF Written. 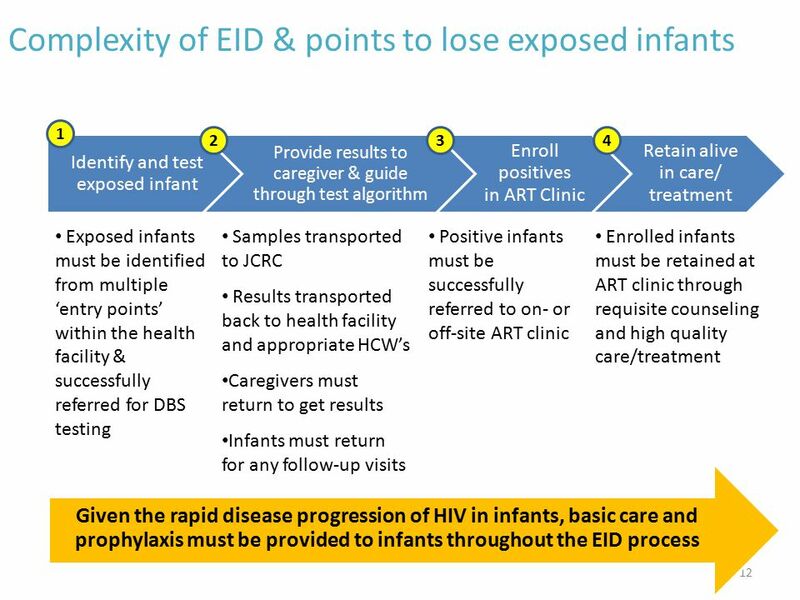 Evaluating ICAP-supported Prevention of Mother to Child Transmission (PMTCT) Programs in 7 countries: Rosalind Carter, PhD Epidemiologist, PMTCT, Pediatrics. Safeguard the Family Project Lilongwe Medical Relief Fund Trust Safe water kits as an effective incentive for ANC visits, reduced diarrhea, improved ART.